In a move that took even his own State Department by surprise, Donald Trump declared that he would be meeting with North Korean leader Kim Jong Un. Secretary Tillerson, just a few hours ago: "In terms of direct talks with the United States – and you asked negotiations, and we’re a long ways from negotiations." The fact that the American entity responsible for conducting diplomacy was not clued in to this diplomatic deal is a gigantic red flag, and it sure looks like Trump just wants a propaganda win, which is exactly what Kim Jong Un gets out of this. This isn't all bad though. The South Koreans sure look like they maneuvered their way out of Trump's moronic trade war by facilitating these talks. The South Korean national security official who brought Kim Jong Un's invitation to meet Trump also asked for an exemption for South Korea on the new steel tariff, a South Korean spokesman says. Defense Secretary Mattis said they "will proactively consider" the request. 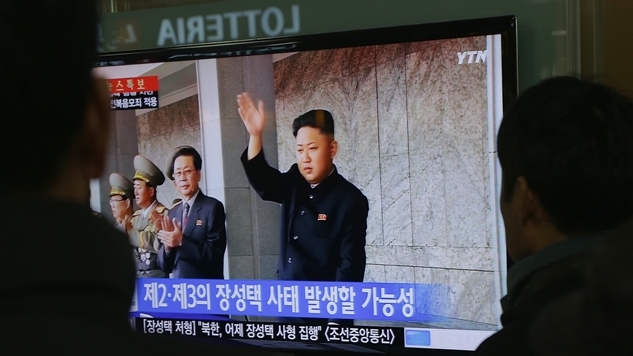 One of the enduring questions has been what the DPRK really seeks from the United States. Most experienced voices believe that the leadership of the DPRK is seeking recognition for its regime, ultimately in the form of normalized relations. High-level contacts, such as summits and special envoys, are important evidence for North Korea that the world accepts the regime. The Country I Saw does much to reinforce the general view of a DPRK leadership that has set securing the legitimacy and stability of its regime as the over-riding foreign policy goal. That a visit by Bill Clinton instead of Bill Richardson is the big reveal at the end of the movie says a lot about how North Korea sees its nuclear diplomacy. Trump is basing his achievement on the incredibly dubious prospect that North Korea will give up its nuclear program. Even though Lewis highlights some hope for a normal(ish) relationship, it’s difficult to see how it happens under Donald Trump’s denuclearized terms.